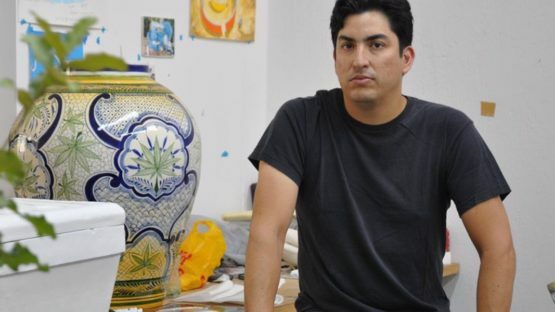 Eduardo Sarabia is a Los Angeles-born contemporary artist, whose sculptures and paintings are focused on subculture imagery and hand-made crafts. Born in 1976, Sarabia graduated with a BFA from Otis College of Art and Design, Los Angeles. Eduardo Sarabia lives and works in Guadalajara, Mexico.